EZSpeechWriters.comâ€™s satisfaction guarantee is simple: If you are not happy with your speech project, simply return it within 30 days. Afterward, we will review, re-edit and rewrite any necessary portions according to the original instructions at no additional costs. We aim for perfection, but we are human. Thus, if after the second edit you are not happy with the speech, return it. And according to our return policy, we will gladly refund your money. Personal attention to detail is what makes our speech writing services great. Obviously, we are not an automated software program writing speeches. Nor are we provide generic templates with soul-less speeches. Instead, we personally read your speech instructions intent. Then we assist you in bringing your dream to life! Therefore, we provide our satisfaction guarantee. Your speech will be created with significant highlights and emotions. Additionally, we will weave in your shared personal details to make it shine. Remember, we are available online to assist you with any questions or concerns. For customer services, contact us via email, phone, or chat today! PLUS – Our satisfaction guarantee applies to our prices and delivery times! Every speech price quote is FIRM. 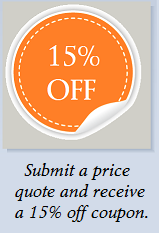 There are no hidden additional fees in our quoted speech prices. Specifically, every speech's price is determined by the speaking length. Every speech is delivered on-time. Should your personal speech writer have any questions or concerns, we will notify you immediately. Thus, you ALWAYS know the status of your order. If you need RUSH Delivery - no problem! Click here to learn more about our delivery times. Our highly experienced professional speech writers are here for you! We work around the clock to ensure that your speech is letter-perfect and on time. Your writer has a minimum of TEN years' worth of professional writing experience. Send us a description of you speech needs and we'll give YOU a FREE sample edit! But don't just listen to us. Click here to see what our clients' have to say. All EZSpeechWriters.com services and products are covered under this return policy. Thus, if you have any questions, please contact us immediately for additional customer service. All eBooks, speech templates, and/or electronically issued informational products have a 100% Money Back Guarantee. If you are not 100% satisfied with your info product, simply return it within 1 year and we will refund your money. In accordance to our terms of service, you acknowledge and agree to our refunds and return policy. Accordingly, this clearly states that all consulting and speech writing services are performed to the best of our abilities. Therefore, we begin immediately writing upon receiving your speech order. Equally important, speech writing services are rendered on your behalf in good faith. Your personal cancellation of speech writing services must be submitted in writing via email or fax. Therefore, chat/voice messages will not be acknowledged as a formal cancellation. Additionally, please note that we do not communicate via standard post/letters. In accordance with our shipping policy, all business is conducted on-line. Upon personal receipt of your cancellation, EZSpeechWriters.com will contact your assigned speech writer. Subsequently, at this time your project will be cancelled. Following successful cancellation of your speech writing order, EZSpeechWriters.com will contact you personally within 24 hours. Accordingly, you will receive confirmation of your current editing status via email. In the meantime, any outstanding charges for writing services will be calculated accordingly. Monies will be retained to the degree of any writing services provided prior to cancellation. Accordingly, any fulfilled speech writing will be delivered along with the remaining monies for the unfulfilled services. No returns, service credits, nor refunds are issued for services completed by our writers and speech consultants. Whereas, all fulfilled work shall be delivered via email to your originally submitted email address. Equally, you may also collect your work at the Client Center. Please note that we are not responsible for any inaccessibility. This includes but is not limited to lost passwords, email submission errors, failed transmissions, and/or other technical difficulties. Finally, this return policy applies to all orders placed on-line or by phone and fully paid via credit card, eCheck, international wire transfer or PayPal. Please note that we do NOT accept paper checks, money orders, or any job orders delivered via standard post. (For this reason, we NEVER accept or acknowledge any paper correspondence sent.) Accordingly, we are an online business with only electronic payment options. Please visit read our virtual shipping policy for additional confirmation. Thus, all transmissions and speech writing orders must be placed electronically. Successfully transmitted electronic speech orders will be acknowledged with a formal receipt by email within 24 hours of receipt. Thank you for entrusting us with your speech writing project! We look forward to working with you to create an amazing and unforgettable speech! Click here for an INSTANT price quote and free speech sample! Professional speech writers at your service 24/7. Click here to read our Terms of Service and Sales. Click here to get in contact with customer support. Rest assured, at EZSpeechWriters.com you receive personal assistance from experienced and professional speech writers! We are NOT an automated computer program! In fact, we read and review every word of your instructions, provide personal telephone consultation, and back our speech writing services with strong customer support. Thus, your email is ALWAYS safe with us! You retain sole copyright, ownership and control over all materials submitted to us for writing services. Although we kindly request that you reference us as your speech writer, you are NOT required to do so. For more information on US Copyrights, visit: Copyright Office Basics. Likewise for UK Copyright information, visit the UK Intellectual Property Office. Additional information can also be found at the World Intellectual Property Organization. All documents are transferred securely as outlined in our shipping policy. Remember that breach of copyright and plagiarism are illegal. Thus, we assume no liability for the infringement of third party copyright in the content of the documents you provide to us. Similarly, you accept sole responsibility for complete and accurate documentation, references and citations within your personally contributed documents. In accordance with our virtual shipping policy, all speech writing services are purchased online. Subsequently, all speech writing services are delivered electronically via email or via our online client center. Hence, we do NOT ship any items via standard post. Zip - zilch - nada! Please do not ask. For assistance, please contact us electronically via CHAT, email or phone with any questions, concerns or orders. Lastly, we do NOT accept orders or payments via post. Neither do we acknowledge any tangible items formally mailed to us. In short, we are an environmentally conscientious organization. We do our best to NOT print ANY papers! We encourage you to hug a tree! Save the earth! Thanks for your understanding, cooperation, and support. Your documents are received and returned in the context of a secure file transfer system. Consequently, this reduces unreliable attachment methods.